Probably the best place to find old miniatures like these is bargain bins at local hobby, comic and game stores. However, there are good online sources for rare miniatures and games. Crazy Egor's is probably the best place to start. In addition to having a large selection of OOP game materials, they are constantly searching for more, and keep "wish lists" for customers. Larry Elliot maintains a small used game store that has a nice reference section for OOP miniatures. Larry is a contributor to this archive. The Sentry Box, in Canada still has some great old stuff. Good people. Paul Biggart sells a large selection of old Grenadier pieces, as well as having assorted random other items. He's also simply a terrific guy to do business with. Great Bear Enterprises still has a good selection of old OOP Grenadier. Good service too. Bear Johnson a prolific web trader, he has a huge pile of stuff. 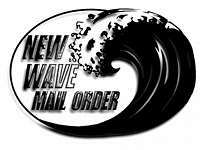 New Wave Mail Order a force on the web, good prices and good supplies. The Virtual Alchemist James Humphries site, offering interesting old and newer pieces. Discount Hobbies, a great catalog, wide selection and good prices. Noble Knight Games have a wide selection of collectors stuff from modules to miniatures. Sabers Edge Hobbies, in Canada carry large ranges of historical and otherwise stuff. Stephen Tavener at Gamesale have a great selection of older boardgames and can usually help track down GW and other UK stuff, but doesn't do miniatures. Paul Hanton has loads of used newer GW stuff, a great way to build an army. He's often on ebay as PDHanton@aol.com. Good international shipper. Second City Games in Eastbourne also have great stocks of recent and slightly earlier GW ranges. Caliver Books specialize in military and wargaming books, new and used. Their range of books is fascinating. They also stock some ranges of miniatures and as well as publish Valkyrie. Bartertown is great for newer stuff. Why pay retail? eBay often has old miniatures and games for auction. The Games section is in the Toys & Beanies section.